Satyajeet Salgar from Google announced on Twitter that Google has launched lyrics translation in search for a few languages. He did not specify which launches, but he did share a post on Twitter from Anitta, a Brazilian singer, who pointed to her own song lyrics on Google for a search on [letra indecente] on Google Brazil. Quer saber a letra de #AnittaIndecente antes de todo mundo? 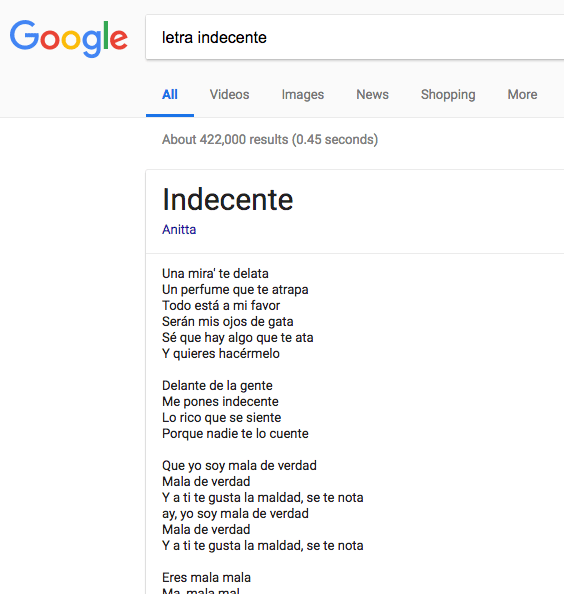 Dá um Google em “letra indecente”. Google has had lyrics in English for years, I guess not it works in other languages.